Support was provided by the Hudson River Foundation and the National Science Foundation. Jayne Doucette provided the final figures. Sue Stasiowski provided editing and chapter preparation. Abood, K. A. 1974. Circulation in the Hudson estuary. Annals of the New York Academy of Sciences 250:39-111. Blumberg, A. F., and D. W., Pritchard 1997. Estimates of the transport through the East River, New York. Journal of Geophysical Research 102(C3):5685-704. Blumberg, A. F., Khan, L. A., and St. John, J. P 1999. Three-Dimensional Hydrodynamic Model of New York Harbor Region. Journal of Hydraulic Engineering 125:799-816. Bowen, M. M., and Geyer, W. R. 2003. 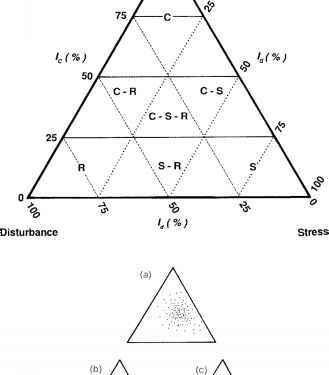 Salt transport and the time-dependent salt balance of a partially stratified estuary. Journal of Geophysical Research 108(C5):3158. Chant, R. J., and Wilson, R. E. 1997. Secondary circulation in a highly stratified estuary. Journal of Geophysical Research 102(C10):23207-16. Chant, R. J. 2002. Secondary circulation in a region of flow curvature: relationship with tidal forcing and river discharge. Journal of Geophysical Research 107 (C9):3131. DiLorenzo, J. L., Huang, P, Ulman, D., and Najarian, T. 0.1999. Hydrologic and anthropogenic controls on the salinity distribution of the middle Hudson River estuary. Final Report prepared for the Hudson River Foundation. Filadelfo, R., Wilson, R. E., and Gomez-Reyes, E. 1991. Subtidal Eulerian currents in the upper and lower East River tidal strait: Spring 1981. Journal of Geophysical Research 96(C8):15217-26. Geyer, W. R., and Nepf, H. M. 1996. Tidal pumping of salt in a moderately stratified estuary. Coastaland Estuarine Studies 53:213-26. Geyer, W R., Trowbridge, J. H., and Bowen, M. 2000. The Dynamics of a Partially Mixed Estuary. Journal of Physical Oceanography 30(8):2035-48. Geyer, W. R., Woodruff, J. D., and Traykovski, P 2001. Sediment Transport and Trapping in the Hudson River Estuary. Estuaries 24(5):670-9. Hass, L. W 1977. The effect of the spring-neap tidal cycle on the vertical structure of the James, York and Rappahannock Rivers, Virginia, U.S.A. Estuarine Coastal Marine Science 5:48596. Howells, G. P 1972. The estuary of the Hudson River, U.S.A. Proceedings of the Royal Society of London B 180:521-34. Jay, D. A., and Bowman, M. J. 1975. The physical oceanography and water quality of New York Harbor and western Long Island Sound. Technical Report. 23:71. Marine Science Research Center State University of New York Stony Brook, Stony Brook, NY. Peters, H. 1997. Observations of Stratified Turbulent Mixing in an Estuary: Neap-to-spring Variations During High River Flow. Estuarine, Coastal and Shelf Science 45:69-88. Pritchard, D. W 1952. Salinity distribution and circulation in the Chesapeake Bay estuarine system. Journal of Marine Research XI(2):106-123. Wilson, R. E., Wong, K. C., and Filadelfo, R. 1985. Low frequency sea level variability in the vicinity of the East River tidal strait. Journal ofGeophysical Research 90:954-60. Worzel, J. L. and Drake, C. L. 1959. Structure Section Across the HudsonRiver atNyack, New York, From Seismic Observations. Annals of the New York Academy of Sciences 80:1092-1105. Yankovsky, A. E., Garvine, R. W., and Miinchow, A. 2000. Meso-scale currents on the inner New Jersey shelf driven by the interaction of buoyancy and wind forcing. Journal of Physical Oceanography 30:2214-30. Zimmerman, J. T. F. 1986. The tidal whirlpool: A review of horizontal dispersion by tidal and residual currents. Netherlands Journal of Sea Research 20(2/3):133-54.